Wondering if there are effective cancer prevention strategies against harmful effects of exposure to ionizing radiation? Yes there are. Protection against radiation side effects is important because it has been proven to be carcinogenic. What are sources of radiation to avoid, or at least, be protected from? Radon gas which is invisible to your senses. It forms in rocks and soil. It is found in mines and in many homes in many countries around the world. Medical procedures such as X-rays and radiation therapy that emit ionizing radiation. Ultraviolet rays include UVA and UVB. They come mainly from the sun. Another source of UV radiation is tanning booths. Radioactive elements such as Iodine-131, Cesium-137 and Plutonium that are in gases emitted by a nuclear power plant. You should find ways to fight the dangers of radiation side effects to prevent cancer. Here's steps for you to follow . 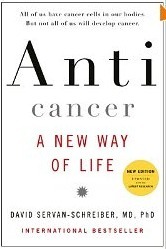 . .
What are cancer prevention strategies against radiation? Test your home for radon gas. If your home is positive for this gas then try to lower radon levels inside your home as much as possible. How do you lower radon levels? Avoid the transport of radon from the basement into living rooms as much as possible. Risk for cancer from X-rays is extremely small but still, they can have harmful side effects. You always must have protection from radiation emitted by these machines. You can discuss with your doctor or dentist if there really is a need for an X-ray. If there is, request for a shield to protect parts of your body that don't need to be X-rayed. If you have cancer and your doctor recommends radiation type of therapy, remember that radiation causes cancer. There is the possibility that you are very likely to develop another kind of cancer. A secondary cancer such as leukemia is a harmful effect of radiation. It is highly recommended that you talk to your doctor about the risk and ask if you have options for an alternative treatment. Plutonium and Cesium 137 are also radioactive elements that can lead to poisoning. Potassium iodide can only protect against I-131. According to Dr. Gabriel Cousens, eating foods that are rich in potassium -- like avocados, seaweeds and green leafy vegetables -- can protect you from Cesium-137 poisoning. How can eating more fruits and veggies be one of the cancer prevention strategies? It's because of the Phytic acids all kinds of fruits and vegetable contain. A plant-based diet provides protective effects against radiation because of these phytic acids. See Benefits of A Healthy Vegetarian Diet. According to Michio Kushi, a Japanese who wrote the book "The Cancer Prevention Diet", sea algaes such as spirulina are also effective against plutonium poisoning. See Spirulina: Its Health Benefits. 4. Eat reishi mushrooms and turmeric. Dr. Andrew Weil and Dr. Tieraona Low Dog are two experts from the Center for Integrative Medicine in the University of Arizona who said "curcumin, the active compound in turmeric, can help protect a number of body tissues. In addition, reishi and cordyceps mushrooms can protect bone marrow from toxic assaults, and antioxidants can help the body defend itself from radiation damage." 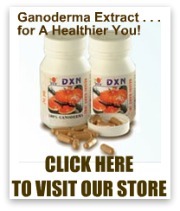 Click here for my recommended Ganoderma Extract supplements. This is one of the skin cancer prevention strategies. If you are going out under the sun between 10 in the morning and 4 in the afternoon, don't forget to slather lotion with sun protection factor (SPF). Also, do your best to avoid tanning booths and sunbeds. See Steps on How to Prevent Skin Cancer. 6. Always have potassium iodide at hand. Be sure to have a supply of potassium iodide tablets if you live in a country that has a nuclear power plant. In fact, the Nuclear Regulatory Commission in the United Staes says that those "who live within a 10-mile emergency planning zone around a nuclear plant" should have potassium iodide in their homes. Accidents can happen just like what Japan is experiencing with the damage in the earthquake-hit nuclear plant in Fukushima in March 2011. Potassium iodide is the first immediate treatment when you are exposed to high levels of gases containing radioactive iodine, also known as I-131. I-131 is quickly absorbed by your thyroid gland. After the 1986 Chernobyl nuclear accident in Russia, supply of potassium iodide tablets ran out and this led to an increase in the number of thyroid cancer cases among children who were not treated. Experts from the World Health Organization recommend taking potassium iodide within 3 hours of being exposed to dangerous levels of radiation. All these cancer prevention strategies against radiation help in protecting you and your family.